Avram J. Blair | Avram Blair & Associates P.C. 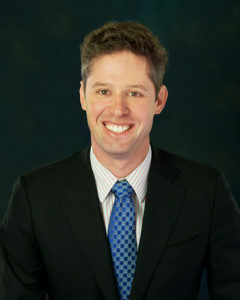 Avram Blair is licensed to practice law in Texas, Pennsylvania, and New York. He is also licensed to practice before the United States District Courts for the Southern Districts of New York and Texas, as well as the United States Court of Appeals for the Third Circuit. The Texas Bar Journal recently published an article written by Mr. Blair in defense of the rights of Texans injured by dangerous pharmaceuticals. Prior to founding his own firm, Avram worked at a prominent Texas-based law firm where he successfully represented thousands of pharmaceutical claimants. Mr. Blair has also handled claims arising from automobile and trucking accidents, exposure to asbestos, workplace injuries, medical malpractice, and insurance bad faith. 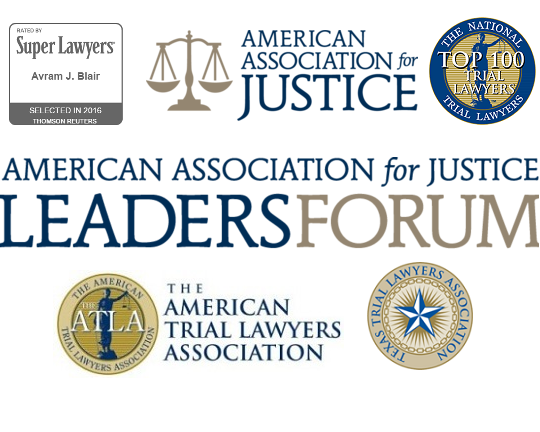 The American Trial Lawyers Association designated Mr. Blair as one of the 100 top trial lawyers in Texas in 2014 and 2015.